TEA CODE has stop the selling of Sabah Snake Grass (SSG GREEN TEA) due to shortage of supply. Other product in TEA CODE normal as usual. Thank you. 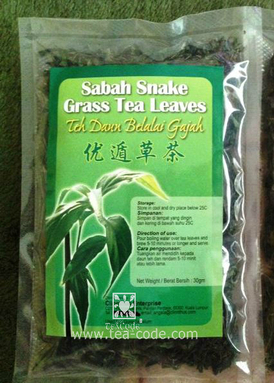 For those who interest to buy Sabah Snake Grass Green Tea™, please refer at below. Product name: SSG Green Tea™. Ingredients: Made of pure Sabah Snake Grass (Clinacanthus nutans) leaves. Description: Made of 150 gm fresh leaves equivalence to 500 pieces fresh leaves. SSG Green Tea™ undergo a unique high-technology processing method in order to preserve its essence in fighting cancer cells and enabling it to be stored longer (up to 6 months) with no added preservative. Unlike SSG tea leaf which undergo sun dried process only, it easily turn into yellowish after a while and having an unpleasant smell. Add in 1 - 2 tablespoon* of tea leaves into a small to medium size teapot. Brew the tea in a teapot for 2 minutes and it can be served! Can re-brew more than once. Drink daily. Please refer to SSG green apple juice page for full detail. Replace the amount of leaves with 1 - 3 tablespoon* of SSG Green Tea leaves. * Please refer to Sabah Snake Grass page for the recommended amount of tablespoon for different stage of cancer. 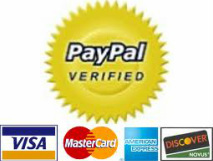 **Image shown is for illustration purpose only. Actual packaging may differ it. Each packet of SSG Green Tea is approx. 45 gm. Meaning even though you order 1 packet only, the shipping fee will be same as shipping 11 packets. Your order will be send out by Tuesday. Subject to delay if the weather is not permitting us to harvest fresh leaves. Cut off time is on Monday, 1.00 pm. Order received after that will be sent out on next week.